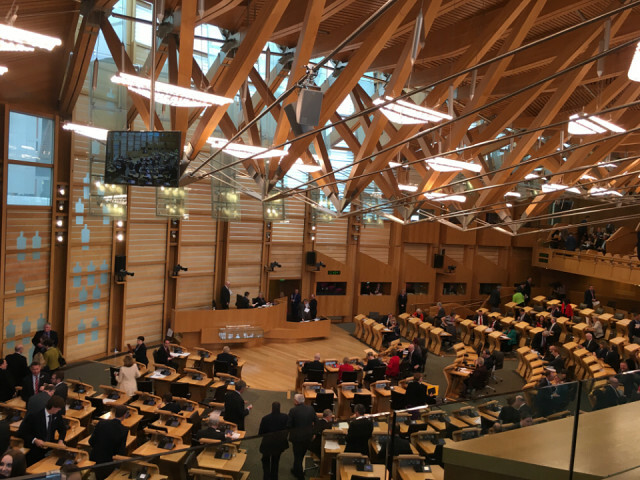 We arranged a visit to the Parliament and FMQs. Afterward we had lunch in the Parliament cafe - superb quality food. Our boys day-out continued up the Royal Mile, down the Mound and back to the car. Edinburgh looked lovely in the autumn sunlight and wasn’t too busy. We drove around Holyrood Park, where I worked in the 1980s, and then out through the South side before rush hour.